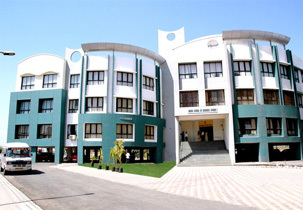 Indira School of Business Studies (ISBS), Pune, was established under the aegis of Shree Chanakya Education Society (SCES). Shree Chanakya Education Society began as a trust in 1994, under the visionary leadership of Mrs. Tarita Shankar, with the explicit vision to provide sustainable impetus to the corporate and entrepreneurial abilities in the youth. Unrelenting initiatives by the management team at Indira led to the creation of multidiscipline such as Management, Information Technology, Pharmacy, Commerce, Science and Engineering. All this growth is enabled and sustained by the expertise and exertions of Prof. Chetan Wakalkar, Group Director, Indira Group of Institutes, whose commitment and concern for student`s development stands unmatched. SCES has grown steadily and today boasts of several Institutes, having more than 8000 students, from all over India, pursuing multi-disciplinary, graduate and post-graduate programs. The Institutes managed by SCES have maintained high academic standards and have successfully provided trained manpower to the diverse industry sectors of the country. 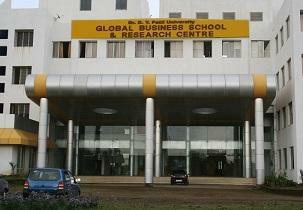 Indira School of Business Studies (ISBS) was established as a professional school to meet the growing needs of the business sector with the explicit vision to provide sustainable impetus to the corporate and entrepreneurial abilities in the youth. In a short span of time, the programs of the Institute were approved by AICTE and ISBS established its presence in Pune as a premier business education institute. ISBS and its efforts at quality education received further impetus in 2013, when its MBA Program received Affiliation with University of Pune. The curriculum design, methodology utilized, including Study Tours Abroad coupled with technology for teaching keeps the students abreast of the trends in the field of business and assures greater articulation of the same.